Natural Epsom Salt Pure Mineral compound of magnesium sulfate. 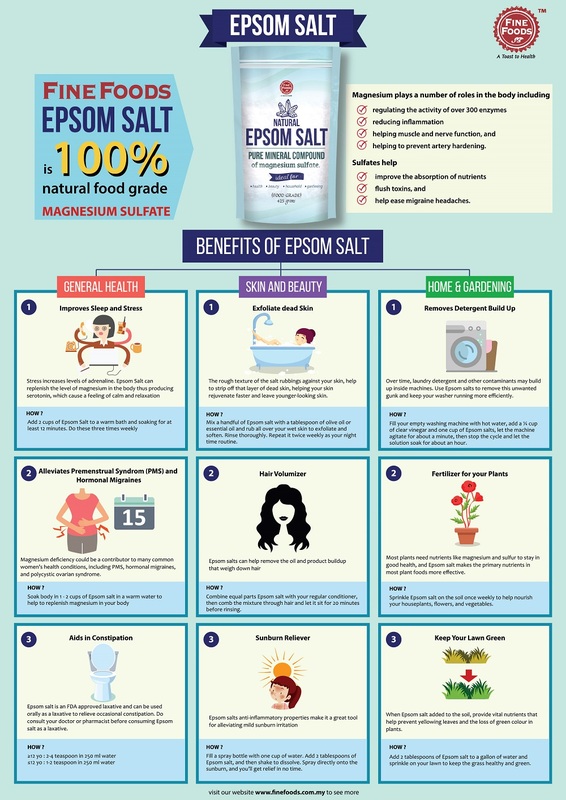 Fine Foods Epsom Salt contains premium magnesium sulfate, a natural mineral salt from Germany. Epsom salt has numerous health benefits as well as applications in beauty, household use and gardening. Benefits : Helps in the relaxation of muscles, Elimination of toxins from the body, effective body scrub (exfoliates dead skin cells and fertilizer for your garden.